Educating how insurance works to the nomadic community (photo credit: ILRI/IBLI project). 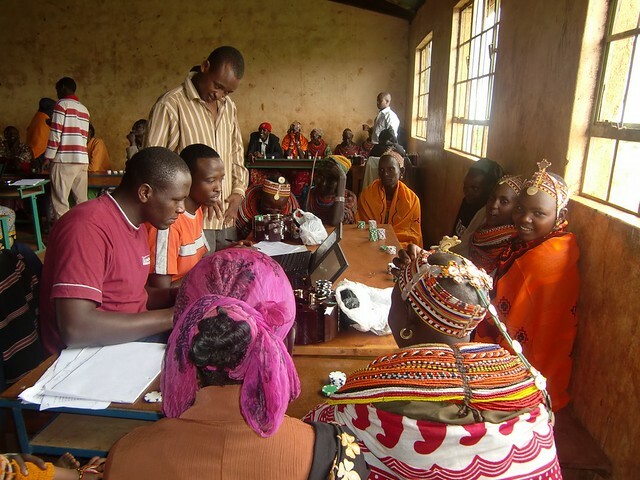 Applying the principles of instructional design to the development of blended learning programs could help ILRI scientists pass on their findings to those actors and agencies in country, and help embed research into policy making and development processes. These are the findings in a nutshell of the latest brief produced by the Instructional Design Specialist, Deborah Wyburn, of the Capacity Development Unit of the International Livestock Research Institute (ILRI). Scientists frequently run workshops to help disseminate the findings of their research. But this method is rarely sufficient to the scaling out process. It is both resource and time intensive. One solution is to create a blended learning program. This would mix online learning and classroom workshops where learners apply new-found knowledge to professional contexts in the presence of an expert. Such programs reduce the time commitment required of researchers in attending workshop sessions. As the target learners are always adults, ILRI instructional designers draw on adult learning principles (andragogy) to produce appropriately engaging courses. Based on relevant and practical examples, these highly interactive courses connect with learners’ existing knowledge and skill sets and mesh with perceived professional development needs. This brief was published as part of an internal ‘capacity development’ week at ILRI in December 2015. Tags: Feast, mNutrition. Bookmark the permalink.